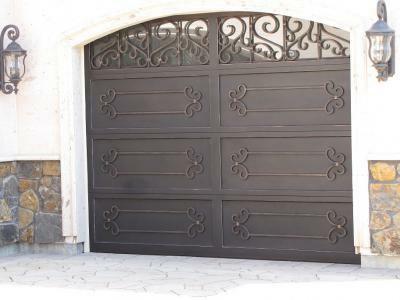 Iron garage doors are rising in popularity. Although many different companies will promise you a secure iron door, it’s important to find out how they promise that. At Signature Iron Doors, we hand weld all our garage doors with 16 gauge steel. They have polyurethane insulated steel tubing frame and section panels. Although our doors are durable like no other iron garage door, we provide all the track and hardware so they are easy to function with any standard garage door set up. 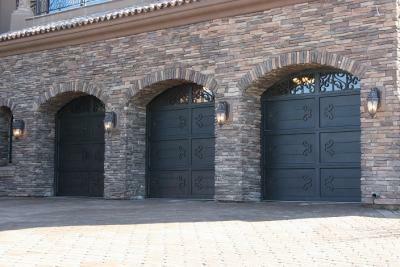 These are just a couple iron garage doors we built for families in Scottsdale Arizona. Centrally located in Phoenix Arizona, we service home owners throughout the valley. Call us and come visit our show room to see a large selection of iron garage doors and find out what the possibilities are for your home.